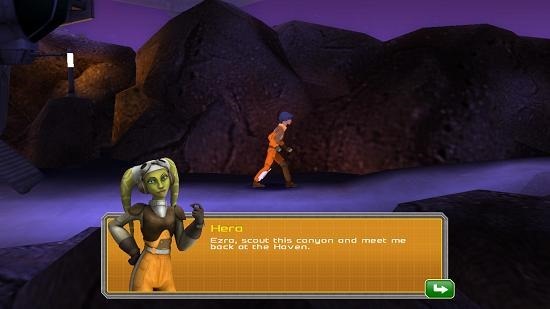 Star Wars Rebels: Recon Missions is a free Contra style game for Windows 8 and 8.1 devices. The reason why I say that it’s a Contra style game is because of the fact that the game is engineered to work in a 2D environment and there is a lot of shooting and fighting involved as well. Now there are a few elements in the game as well which differ a lot from Contra, the biggest one being the futuristic graphics, and a game size of over 600 Mb (you might want to give it a pass on limited data connections). 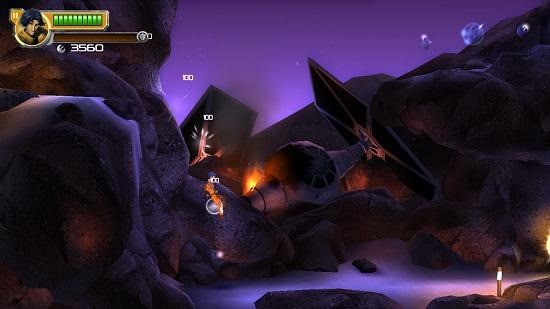 The game has certain 3D elements as well which makes for a great twist to the game. Star Wars Rebels: Recon Missions is available for free from the Windows App Store. When you run the game on your device, the first thing which you will be greeted with is the game’s introduction video. The video has stellar 3D graphics and this can be easily seen in the screenshot below. 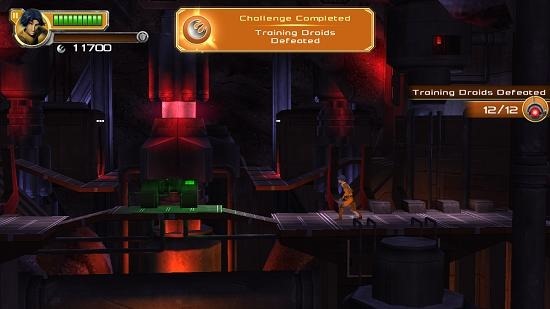 Once you have seen the video or skipped it by clicking anywhere on the screen, you’ll be taken to the main menu of the game which is shown in the screenshot below. In the main menu of the game you can choose to view either the settings page or choose to start the game itself via the play button. The settings button is located at the bottom left corner of the screen and clicking on it fires up the options screen which can be seen in the screenshot below. 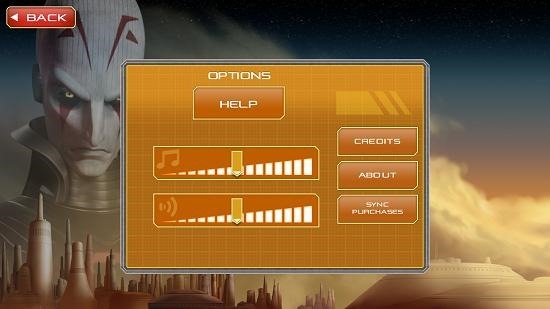 In the options menu you’ll be able to control the sound and music settings of the game, view the credits, about section etc. Coming back to the main menu of the game, you can start playing the game by clicking on the Play button. Upon clicking on the Play button, you’ll be taken to the gameplay screen of the game. What follows is a brief tutorial. There are certain challenges in the game where you have to shoot bullets at enemies, etc. Upon completing these challenges you’ll receive a confirmation of the same on your screen as well. Bullets can be shot via the mouse button, and moving the mouse around will aim your weapon. You can move around with the A and D keys and jump with the space bar. This basically winds up the main features of Star Wars Rebels: Recon Missions for Windows 8 and 8.1 devices. 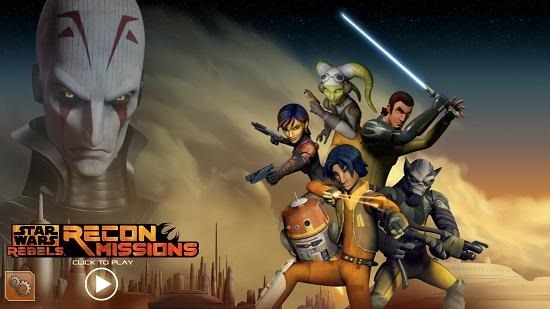 Star Wars Rebels: Recon Missions is a well designed game for Windows 8 and 8.1 devices which makes for a great download if you are a fan of the Star Wars franchise. The game is pretty incredible given its graphics and everything, and the overall feel of the game is enough to make for a pretty gripping experience! 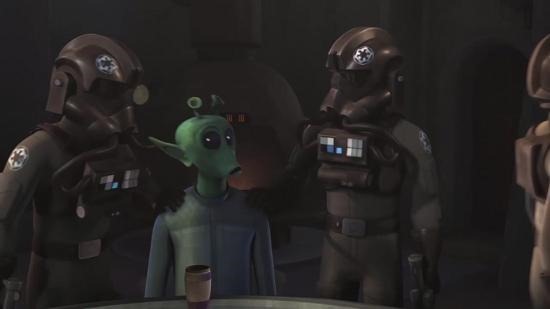 Get Star Wars Rebels: Recon Missions.